I have been contacted by Ebanreb, Katy Cavallero’s friend, who thought it would be great to share Katy’s guest post on our blog. Thank you Ebanreb and Katy for considering our blog. with all kinds of meats and barbecues including fish, seafood, vegetables, chicken, pork, beef or lamb. Other fruits that you can make into smoothies and pair with barbecue are peaches, mangoes, kiwi, passion fruit, pineapple, and watermelon. You can get heart healthy food & weight loss recipe ideas for smoothies at Gourmandia. For a simple smoothie recipe, choose only one fruit and combine with plain yogurt, honey to sweeten, and lemon juice to thin out and add a tart flavor. Watermelon smoothie, mango smoothie, strawberry smoothie, and blueberry smoothie are some of the most popular smoothies using a single flavor. Combining different kinds of fruits can make a more exciting beverage. To savor the flavors of the fruits, combine only two kinds that pair well such as mango and peach, watermelon and strawberry, kiwi and passion fruit, strawberry and banana, pineapple and orange. Another possibility is to make layered smoothies. Make different kinds of smoothies and refrigerate until they are very cold. Pour one kind of smoothie halfway for each glass and another kind of smoothie on top. Not only do they taste delicious and fun, they also look beautiful. You can garnish the smoothies with slices of fruits or a wedge of lemon. process them in a blender. 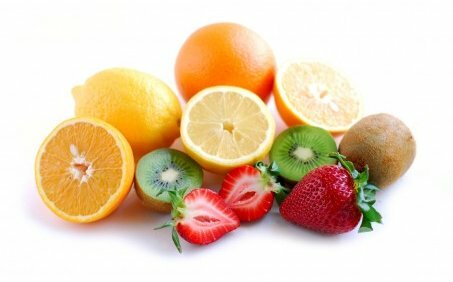 If you prefer a smoother consistency, however, chilled fruits in the refrigerator will do the trick. My name is Katy Cavallero from Toronto, ON Canada and a part time photographer. Being a good photographer is definitely not easy. I also joined the staff of a business magazine which was based in London and became a corporate photographer. During free time, I create blogs and post contents related to foods. It is my pleasure to share valuable information, knowledge and tips to this blog.